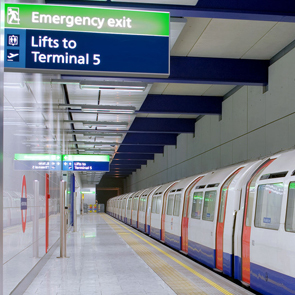 As an integral part of BAA’s project team, we led the negotiation of agreements with London Underground (LU) for a new underground station at Terminal 5, Heathrow Airport. We managed the legal advisors and preparation of all schedules and negotiated the agreement for lease and the leases. We also negotiated with LU to vary its PPP and PFI contracts to procure signaling systems, power supply and telecommunications systems for the new Piccadilly Line extension.